In their latest Inside Read column for Sports Illustrated, Thayer Evans and Pete Thamel had an interesting piece about the dilemma high-paid coordinators face, where moving a step up on the coaching totem pole requires a pay cut. Salaries are rising across college football, but they’re rising faster the higher you go, and now a no-brainer of a move – Big Ten or SEC coordinator to MAC or Sun Belt head coach – is much more of a risk than it used to be. SI points to recent trend in hiring practices showing that Power Five schools are much more reluctant to hire college coordinators than have been previously. Only eight of the 34 new Power Five coaches hired over the past three cycles did not have head coaching experience at the FBS level; three of those eight were promoted from within (Scott Shafer, Mark Helfrich, Kyle Flood), one was hired away from the NFL (Bill O’Brien), and another was hired by his alma mater (Kliff Kingsbury). 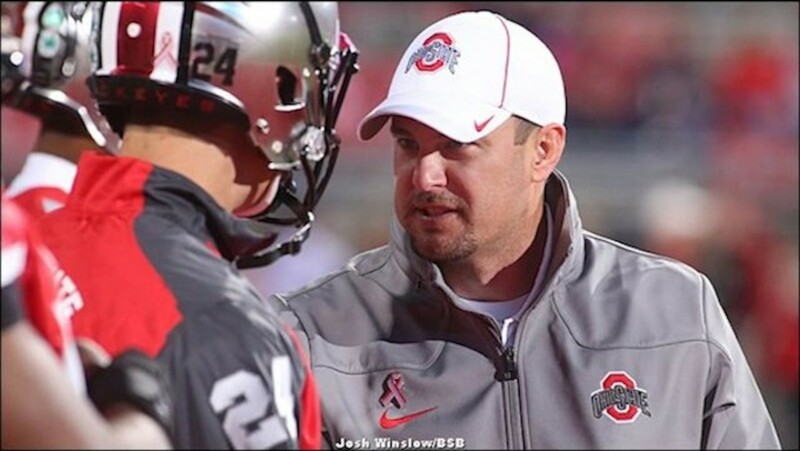 Following that logic, a guy like Ohio State offensive coordinator Tom Herman has a 10 percent chance of landing at a Power Five school as his first head job. That means his first head job will likely come at a mid-major, and that means he’s probably taking a pay cut. Herman makes $650,000 this year; the MAC’s highest-paid coach, Frank Solich, makes $500,000. If you’re Herman, there are really three doors available to you. 1) The Gus Malzahn door, where you cut your salary in half in the short term on the hopes of doubling or tripling your quote-unquote investment in a short amount of time. 2) The Kirby Smart door, where you enjoy the security of your current position until a once-in-a-lifetime job falls in your lap. 3) The trap door, where you give up a plum job and a fat paycheck for the wrong job, and find yourself clawing back to get the same job you had three years prior. To this point, highly-paid coordinators like Chad Morris and Pat Narduzzi have chosen door No. 2, content to bide their time until the right fit comes along. It seems Herman will fall in that group. Of course, there is another intrinsic, intangible factor at play. The vast majority of coaches get into the business with the dream of running their own program one day. You can only say no so long before the offers stop coming, and at some point you’ve got to hold your nose and jump. That point is different for every coach. Narduzzi turned down Connecticut last year, while Notre Dame offensive coordinator Chuck Martin saw Miami (Ohio) as a perfect match. If he truly wants to be a head coach, at some point Herman will find his Arkansas State or Miami (Ohio).